Verbier have become the first ski resort to partner with a Premiership football club. While Manchester United may already have official partners for everything from noodles to beer, last year’s Champions League finalists Liverpool have become the first English football team to find a ski resort partner. Verbier hopes that through its sponsorship of the Premier League club, whose players include Mo Salah and Roberto Firmino, they will increase awareness of the Swiss resort and position themselves as the leading Alpine destination in new markets. The initial agreement is for four years and will allow the resort to communicate winter and summer holiday offers, as well as information about the region, and help to put the Swiss ski resort on the map for LFC fans. Although current players are unlikely to be skiing, club legend, Robbie Fowler, recently showed off the skills he picked up on the 2017 edition of Channel 4’s ‘The Jump’ in a short video to announce the partnership. “The UK market accounts for approximately 28% of Verbier’s overnight stays over the winter season. We hope that this collaboration will help increase our market share in the UK and also in Europe,” says Pierre-André Gremaud, MD of Verbier Promotion. The resort will be made known to Liverpool FC supporters with activity and special offers around their famous Anfield ground, as well as via e-marketing actions. 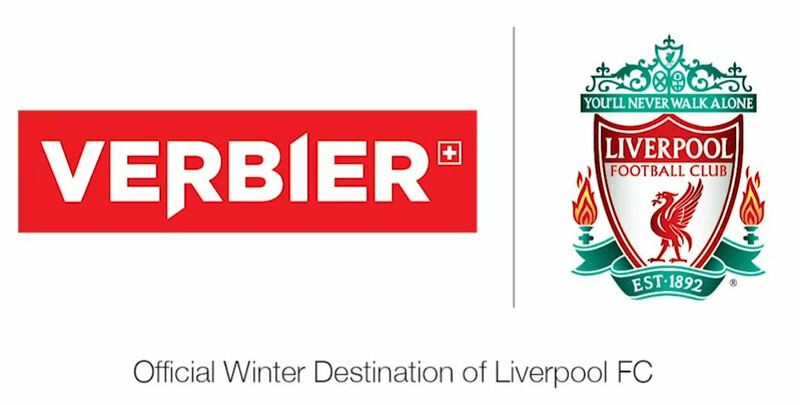 January will see a new event to be known as ‘Liverpool Week’ added to the Verbier calendar, when the resort will host a week of Liverpool-themed activities for guests in resort.